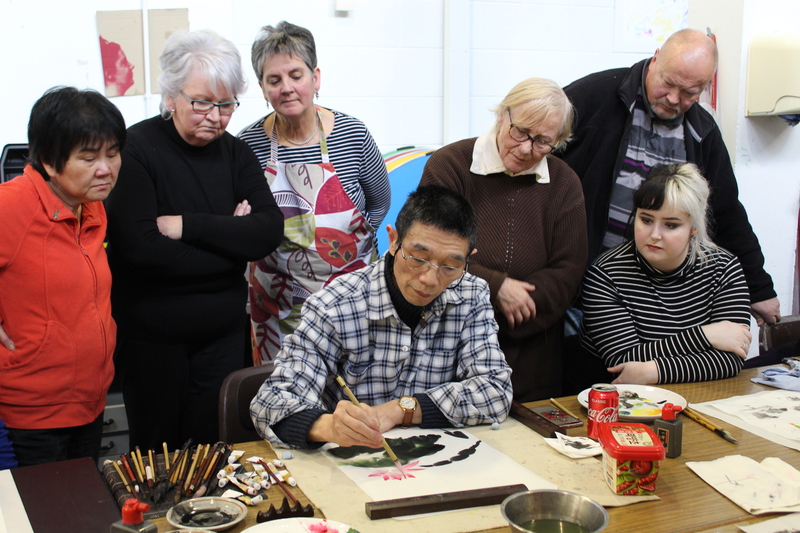 Residents of the Fermanagh and Omagh District Council area recently had the opportunity to take part in free traditional Chinese watercolour painting art workshops at the Strule Arts Centre, Omagh. 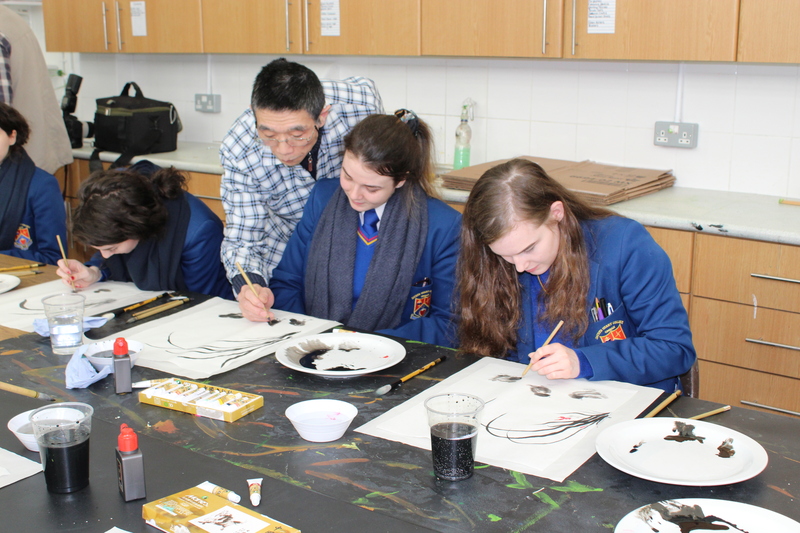 The fully-subscribed workshops, which took place on Monday 4 February 2019 as part of Fermanagh and Omagh District Council’s Good Relations Programme, introduced participants to Chinese art and culture and encouraged respect for diversity. Over the course of the two-hour workshops, participants enjoyed learning about traditional Chinese painting which uses calligraphy techniques and depicts landscapes and creatures as the main source of inspiration for Chinese artists. 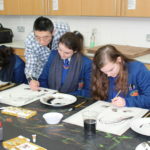 Those in attendance were also given the opportunity to produce their own Chinese paintings, following a demonstration by traditional Chinese artist, Mr Rong-Gen Yin, who facilitated the workshop. In addition to the workshops, an exhibition of Rong-Gen Yin’s work, entitled ‘A Brush with Nature,” will open at Enniskillen Castle on Saturday 9 February 2019 at 12 noon. The exhibition will include 44 pieces both framed and hanging scrolls featuring creatures and landscapes. There will also be a range of cultural activities taking place at Enniskillen Castle on the day from 12 noon until 3pm including a Lion Dance performance, Chinese calligraphy and a Chinese painting demonstration by the artist. The activities will also feature a tour of the exhibition facilitated by Anna Manwah Lo MBE. Admission to the exhibition launch and the cultural activities is free. The exhibition has been brought together in collaboration with the Northern Ireland Museums Council with funding provided by the Heritage Lottery Fund. The Chinese Painting Workshop and exhibition launch coincide with Chinese New Year. The Council is also supporting additional events organised by two local groups to mark Chinese New Year. These include Omagh Ethnic Communities Support Group’s Chinese New Year Celebrations on Tuesday 5 February 2019, 3pm-5pm at Omagh Community House and Erne Chinese Friends Association’s, ‘Chinese New Year Celebration’ on 10 February 2019, 1pm-3pm at the West End Community Centre, Enniskillen. For further information about any of these events or to find out more about the Council’s Good Relations Programme, please contact Good Relations Officer, Rumena Kostadinova-McCabe, by telephoning 0300 303 1777 or emailing rumena.kostadinova-mccabe@fermanaghomagh.com.